That was in 2008. But soon after it opened, YOLA’s focus moved towards face-to-face classes. The goal became to help Vietnamese students access colleges like Stanford, where Tu Ngo had studied public policy. Ten years on, YOLA has worked with over 30,000 students and they have fourteen campuses with ambitious growth plans. In those ten years their learning model has gone full circle and it now has a strong digital part again. 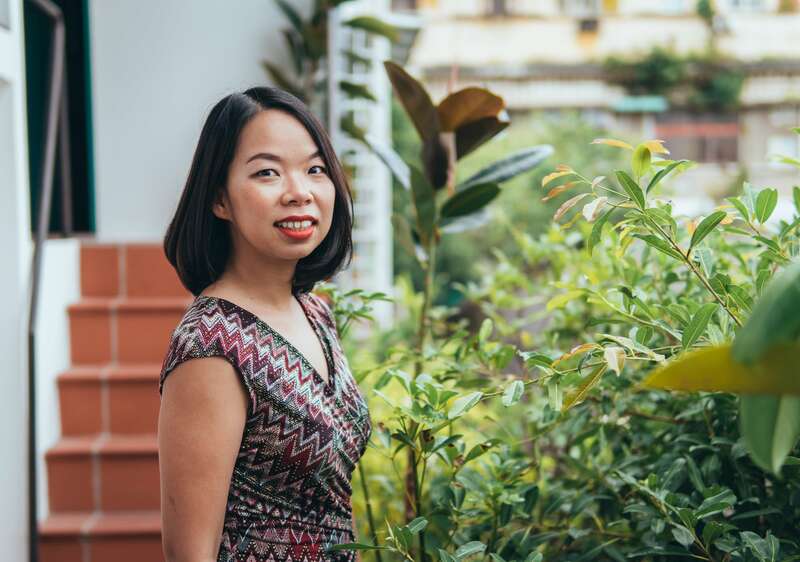 “The goal now is to become Vietnam’s number one blended English language provider,” according to YOLA’s cofounder. Tu Ngo also helped co-found ELSA in 2016. It’s an English pronunciation app with three million registered users that gives instant diagnostic feedback. And she’s a regular attendee at ed-tech conferences and summits. She even introduced then US president Barack Obama to the stage at his town-hall meeting in Vietnam last year. “One of ELSA’s language experts gave me feedback on my pronunciation for my speech,” Tu smiles. So we met up with Tu to get her insights on developments in education, and to understand her ten years helping to grow the YOLA brand. Tu Ngo, one of the four original co-founders of YOLA in 2008. While studying at Stanford, you engaged in some development projects. Can you tell us about those? In 2005, while I was in college, I was co-president of a Bay Area non-profit called the Southeast Asian Service Leadership Network (SEALNet). We recruited and developed leaders from Stanford and MIT for projects in Vietnam, Thailand, Cambodia, Indonesia, Malaysia, and the Philippines. Instead of building a computer lab in Cambodia could we also train people on the ground to lead activities in the lab? Professional mentorships were also crucial to the project. People like Kevin Teo got involved. He’s a chief software designer who’s now with Asian Venture Philanthropy Network. What are the most valuable things those projects taught you? SEALNet launched other interesting projects like Raintree Cambodia set up by Zoë Ng, a British Malaysian. In fact, she kept returning and it’s become a lifetime project for her too. How did this approach to taking learning beyond the classroom differ to what you had experienced growing up? How did Stanford support you to work with projects like that? If I hadn’t done those projects, I’d never have started YOLA. But I also don’t think I could have learned what I did on those projects in any classes at Stanford…but it happened while I was at Stanford. There, the university environment was so free. The professional mentors came in for coffee and offered open invites for students to come to talk to them. It’s interesting that they weren’t “teaching” anything. They were helping us to solve problems that interested us. This was before “problem-based learning” was even a thing. The projects required fundraising, putting together proposals, creating a business model, with immediate practical applications. How did this lead you to start YOLA? Before going to the States, I was a founding member of an online forum with Pham Anh Khoa, one of YOLA’s four co-founders. We designed the forum to help students win scholarships to universities in the States. We called it VietAbroader. In 2005, the year before I went to Stanford we even turned it into a physical conference. 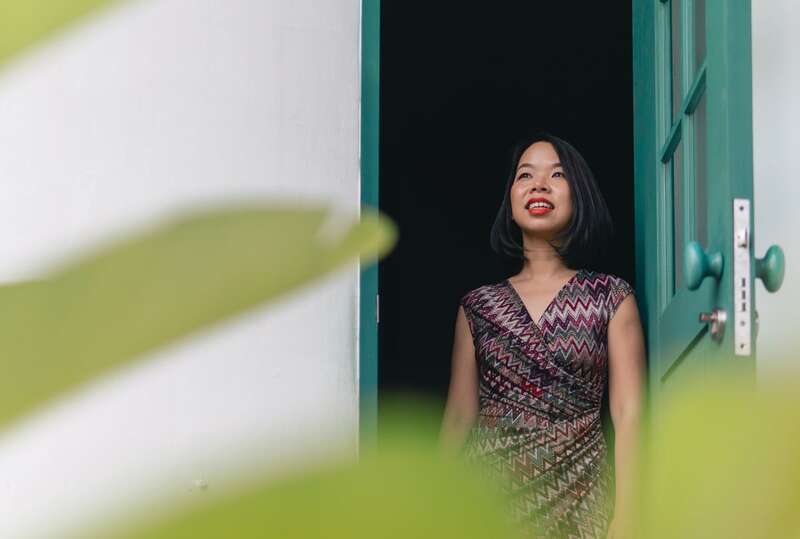 Having already worked together, when we returned to Vietnam we wanted to create something scalable that could make money…but that could also have a social impact. A big opportunity was in the English training market. So, we started YOLA to connect students here with teachers in the States via Skype. What were the challenges with creating YOLA’s online learning model in 2009? At that time, few people were on mobile—everyone was still on desktop. The first sessions I had were always about how to set up Skype, things like installation and creating accounts. There were some basic economic challenges too. We had to pay teachers in the States up to US $20 an hour. Here, we were targeting university students who couldn’t afford that price—especially in the provinces. It was hard to find investors too. There weren’t so many on the ground and they weren’t always the fairest and friendliest with their terms and valuations at that time. Had we found those, the trajectory could have been very different. Now people look to Singapore for investment, but that only began to happen in 2011 and 2012. Why did you switch the YOLA model from online to face-to-face learning? Our savings were going down and our priority was to survive. We decided to run a weekend camp where we taught students something we knew—how to apply to Ivy League schools. We didn’t set out to compete with any of the big players in the industry. 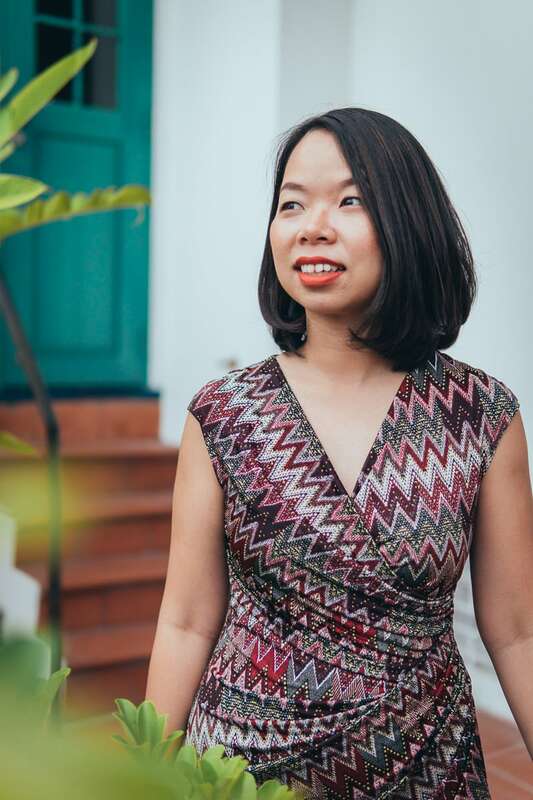 When connecting students in Vietnam to teachers in the States online was slow to gain traction YOLA began offering face-to-face SAT-prep classes. Finding teachers has been a challenge for lots of schools—how did your approach to sourcing staff differ as you started to grow? We attracted people to teach who were like us—returning Vietnamese interested in education and who were at a junction in their lives. There were 4,000 Vietnamese undergraduate students in the US when I went. When you zoom in, there were probably 400 Vietnamese students at the top universities. So we knew everyone who had a passion for education, and what they were doing. Regionally, which schools are exciting you right now? There’s Moonshot Academy in Beijing whose campus is like a coworking space. As with SEALNet, they invite talented people from different industries to the academy to become coaches, mentors, teachers, and friends to the students. WeLearn in Thailand have a space where kids can learn what they want through self-study. The model also gives learning a strong social aspect. It’s only been set up for a few months by a lawyer who was homeschooling his children. Are there currently any inspirational education projects in Vietnam? I just took part in a social and emotional learning program run by the Happy School Training Program in Ho Chi Minh City. I spent three days with them. They are training hundreds of local public school teachers to apply mindfulness in the school setting and they previously ran a course in Hue. Schools will keep the same government curriculum—so this will be five minutes before class, or during break times. It’s headed by a professor who spent time at the Center for Bhutan Studies & GNH (Gross National Happiness). They do a lot of research about sustaining happiness, not just understanding things people find pleasurable. They’ll track students’ achievements after teachers begin the program and find whether happiness increases outcomes. It’s funded by a research institute in Switzerland, so they will track this as a scientific study, and they will also report to the Ministry of Education here. Then there’s Fulbright University. It will be the first liberal arts university in Vietnam, and it will have a strong Vietnamese focus. What experiments are YOLA doing with innovative approaches to learning? We’re implementing blended models from K to 12. With our new young learner program, Dolphin, students learn through apps at home before class, then they have a regular class, and an additional period where they explore the language in a collaborative learning space. The objective is to help students learn a second language naturally. We’ve also started an experiment with twenty-five teachers on a three-week self-guided learning program. Students formed teams of two-to-five people. Then they identify a topic and explore it. They had to create a YouTube video to show what they’d learnt at the end. We’re going to start doing more and more of these experiments before we roll the program out. Why do you feel education is slow to change compared to other industries? One reason education is so hard to change is because parents and teachers, and governments, think that if it doesn’t work, it will destroy a whole generation. But this is an experimental phase for the world. If we use the same metrics and measurements of assessment for new ways of learning it just becomes an updated version of the SAT. I’m confident that with digital, for example, lots of the current divisions will disappear—students won’t call it blended learning, they’ll just call it learning. I choose Shuyin Tang. 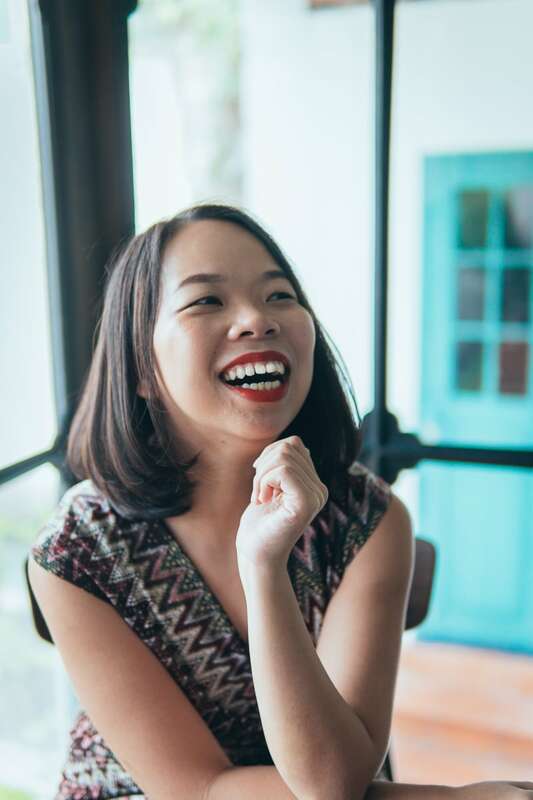 Her fund Patamar is working with tech startups with high social impact in Vietnam and the Philippines. I’m curious to understand her business and the impact it’s having. 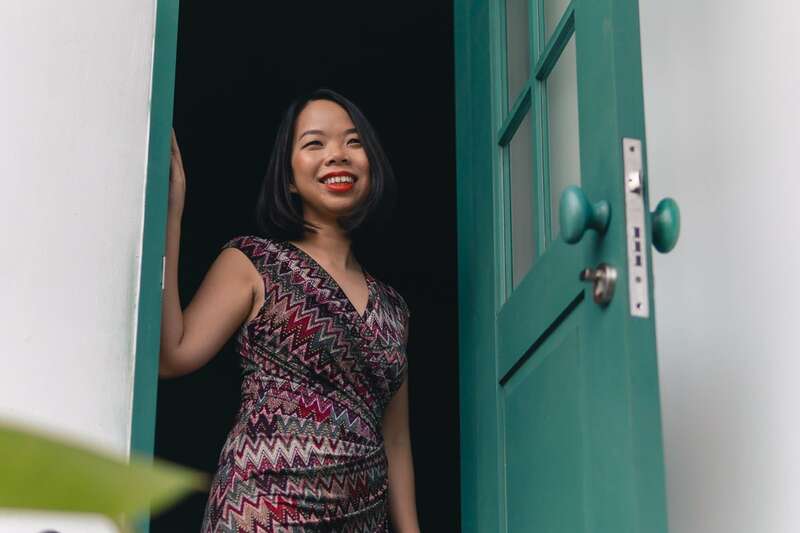 She seems passionate about Vietnamese culture, she speaks Vietnamese, and she is based here—which isn’t a choice a lot of overseas fund partners make.